Ted Willey & Associates provides boards with sound advice and counsel focusing entirely on board leadership and the effectiveness of the board. Through our advisory and consulting services, we support executives and boards in addressing challenges of continuous improvement and overall effectiveness from the time a board is created through the various stages of board transformation. We support board objectives by ensuring alignment of purpose within the board, alignment of strategic vision with the senior management team and alignment of performance metrics between the board and the organization. Our principals have served on boards both as board members and as senior corporate executives as well as advisors to numerous for profit and not-for-profit boards and senior executive groups. Our principals have been recognized as successful corporate executives and as leading consultants within their fields in human capital management. Through our experience consulting with and serving on boards, we have learned that boards benefit from focused concentration on processes that support strategic thinking, planning, decision making, development, transformation, and execution. Through our collective background and experience, we are able to provide boards with a unique and knowledgeable perspective. While we do not engage in documenting requirements for governance and compliance, we do provide pinpoint support of leadership techniques in planning and guiding organizations to higher performance while working with counsel in governance and strategic marketing matters. Our work with a wide variety of foundations, private and publicly held companies, and not-for-profit organizations provides us with a unique perspective and deep understanding of what makes boards of directors effective in providing support for the growth of the enterprise. We take responsibilities and accountabilities as trusted advisors very seriously in providing prompt and effective advisory services. If you need more information about our board development services we encourage you to contact us. 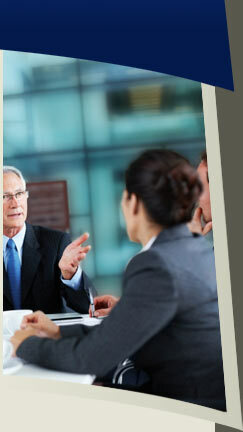 We will discuss your current situation and help assess the best solution for your organization.